Akio Kimura expertly investigates Oe's feminist turn in his novels in the 1980s as a criticism of this "I" as an authoritarian first-person narrator. Oe considers this concept to be a disruptive reflection of Japanese society's established order. Oe's response to such a disruption is the introduction of a series of metaphors utilized in order to represent Faulkner's individualism and the subsequent deconstruction of Japanese autocracy. Drawing on Kofman, Irigaray, and Derrida, this book explores how Faulkner's individualism inspires Oe to juxtapose the Japanese authoritarian and the Faulknerian self-critical. Yukio Mishima (1925-1970) One of the most significant Japanese authors post WW II, Mishima was a novelist, playwright and film director. He wrote about Japan’s imperial past, its heroic ideals, samurai traditions and the honor of dying for one’s country. On November 25, 1970 - following a failed coup to restore the Emperor power - Mishima killed himself following the ritual of Seppuku or disembowelment performed in public. Hirohito (1901-1989) Emperor of Japan from 1926 to 1989. There has been debate about his role during Japan military expansion from the 1930s to 1945 and about his willingness or opposition to militarist elements of his government. After 1945, Hirohito was not prosecuted for war crimes. His imperial status changed dramatically in 1946 when he renounced the traditional divine status. In Japan, there are two views of the emperor’s divinity during World War II. According to one, the emperor was a God: the absolute and transcendental being (Kato, 1926; Murakami, 1977; Shimazono, 2010). The other reduces the emperor to a demigod in the polytheistic tradition of Shinto, Japan’s indigenous religion, or even denies the emperor’s divinity calling it a fiction (Nitta, 2003; Sato, 2011). According to the former view, the emperor as God motivated people to sacrifice their lives for the country during World War II. The latter view regards the idea of the emperor as God as a mere fiction made up by General Headquarters, and by both American and Japanese scholars who denied the emperor’s divinity during the war. Mishima Yukio, the Japanese novelist, embraced the idea of the emperor as God(1). Mishima spoke for those who had died for the emperor believing that he was God. By killing himself, Mishima reenacted the sacrificial death for the emperor during World War II, and by so doing criticized Emperor Hirohito for betraying those who had died for him believing in his divinity. Mishima’s suicide is still regarded as a major event in the history of Japanese nationalism; it was an attempt to revive the nationalism before and during World War II. At the same time, however, it included a criticism against Hirohito—who failed to meet his people’s need for something worth dying for. Many Japanese were shocked when Hirohito renounced his divinity after the war because they felt that they had been deprived of the cause of war. Mishima was one of them. During the war, the emperor was a divine being, although the Japanese people did not necessarily know what kind of divine being the emperor was. While it is relatively easy to trace the development of the idea of Japan’s national polity in the academic writings, it is not easy to identify what kind of divine being people actually believed in during World War II. With his spectacular suicide, however, Mishima reminded the postwar Japanese of what they had believed in during the war; it was not just the emperor as a god but the emperor as God, the absolute and transcendental being. While his behavior should be criticized for its anachronism, Mishima’s theology gives us a clue to understanding the idea that drove many Japanese to sacrificial death. Just as Hitler expected every German to sacrifice their lives for the country, the Japanese military government in World War II, especially at its end, expected every Japanese to sacrifice their lives for the country under the slogan, “ichioku sogyokusai,” which literally means one hundred million broken jewels, and encouraged the people to keep fighting to the death. In fact, many Japanese died while the government hesitated to surrender, and among those were the victims of the atomic bombings of Hiroshima and Nagasaki. They were sacrificed for the country. But more precisely, they were sacrificed not so much for the country as for the emperor. It was only for the purpose of retaining the emperor system, or, in other words, the emperor-centered national polity, that the Japanese government initially rejected the Potsdam Declaration only to accept it later, after hundreds of thousands of civilians were killed. As to Shrine Shinto, the directive defines it as “that branch of Shinto which by popular belief, legal commentary, and the official acts of the Japanese Government has been recognized to be a religion.” Originally, before the Meiji period, there was no such unified religion as can be called Shrine Shinto (Shimazono, 2010). There was only each shrine. The Meiji government organized those shrines into Shrine Shinto. And then, by gradually mixing it with court rituals, emperor worship, and militarism, the Showa government used it to encourage people to unite and serve the country during the war. Seeing in State Shinto the main culprit that had led the Japanese to war, the Shinto Directive aimed at demolishing it by forcing on Japan the idea of separation of religion and state, based on the American idea of separation of church and state. As Nitta (2003) points out, however, it was by the Shinto Directive that the term State Shinto became popular among the Japanese after the war. Before that, the Japanese did not know where their popular belief in their local deities ended and where State Shinto began, nor where their everyday emperor worship ended and where their fanatic loyalty to the emperor that had driven them to fight to the death began. Curiously enough, however, General Headquarters did not know it, either. Hardacre (1989) points out: “Before 1945, little was known about Shinto in the West, and the American directors of religious affairs within the Occupation had few guides” (p. 134). Hardacre (1989) also suggests that General Headquarters learned about State Shinto through Daniel C. Holtom’s work on Shinto, and it was Holtom who “credited Shinto with imbuing prewar society with chauvinistic patriotism and unswerving loyalty to the emperor” (p. 135). It is not Holtom, however, who turned State Shinto from simply a state-sponsored Shinto into a “gigantic ideology apparatus” (Nitta, 2003, p. 124)(4) that mobilized the entire country for the war. Holtom was influenced by Kato Genchi, Japanese Scholar, who had written A Study of Shinto: The Religion of the Japanese Nation in English and published it in 1926, expecting it to be read especially by foreign readers (Nitta, 2003). At the center of the State Shinto ideology lies the idea of arahitogami (incarnate divinity) or akitsumikami (manifest divinity). According to Nitta (2003), Kato was the first to present this idea. In his book Waga Kenkokushiso no Hongi (The True Meaning of Japan’s Founding Ideas), published in 1912, Kato calls the emperor “God Himself,” and compares the emperor to God in Christianity, saying “In Japan we the people revere the emperor as the object of absolute obedience, just as in the history of the West the absolute obedience to God has been demanded from the people” (quoted in Nitta, 2003, p. 55). In the original Shinto tradition, there was no such absolute being as can be equated with God in Christianity. According to Murakami (1977), “with the establishment of the Meiji Constitution (1889), the emperor turned from one of the priest-kings into the monotheistic arahitogami” (p. ii). (5) It was only after 1912, when Kato published the above book, however, that the Japanese scholars began to advocate the idea of the emperor as God, although it was carefully distinguished from God in the West. Furthermore, as Shimazono (2010) points out, it is only after the 1930s, in particular after the war against China begun in 1937, that “the emperor became the transcendental being, an object of worship for which many people would feel no regret for sacrificing their lives” (p. 67). Here it is important to note two documents that reflected the idea of the emperor as God: one is Kokutai no Hongi (The Basic Principles of Our National Body), a pamphlet that was published by the Ministry of Education in 1937 to teach the Japanese how superior Japan was to other countries because it had been presided over by the divine emperors, and the other is “Senjin-kun” (“Ethics in the Battlefield”), instructions given to the army by Tojo Hideki, then the Army Minister, in 1941, to tell the army to observe discipline and not to do any shameful deeds, such as breaking the international law in the battlefield. As Skya (2009) points out, what is interesting about the former is that it refuses to compare the emperor to the absolute, omniscient God in the West. We can find a similar emphasis on the absolute loyalty to the emperor in “Ethics in the Battlefield.” Written by leading scholars of the time, both The Basic Principles of Our National Body and “Ethics in the Battlefield”—were difficult to read. In the latter, however, we find a clear message to the entire nation in a passage entitled “To Value Honor”: “Never live to suffer the shame of being held in captivity; die before you bring yourself the dishonor of being incriminated.”(7) The shame or dishonor that had to be saved was not the soldier’s but the emperor’s, because, as clearly stated in the passage entitled “The Emperor’s Army,” the army itself was the emperor’s. It was not so much the army, however, as the entire nation that was expected to die before dishonor, because “Ethics in the Battlefield” was not only given to the army, but was also spread to the entire nation through the national media. The entire nation was the emperor’s army. Although most Japanese may not have understood the difficult definition of the emperor’s divinity presented in The Basic Principles of Our National Body, it can be surmised that they at least understood the clear message in “Ethics in the Battlefield”: Choose death before dishonor, and never profane the emperor’s sacredness. As the title of Nitta’s (2003) book suggests, we can say that two chimeras affected the psyche of many Japanese during World War II and drove them to the sacrificial death for the emperor: one is State Shinto, which was not known as such by the people, and the other is the idea of the emperor as God, which was a relatively new invention in the long history of the Japanese court. (8) In this sense, it was not necessarily off the mark that General Headquarters tried to wipe out those two chimeras from the Japanese psyche after the war. The demolition of State Shinto by the Shinto Directive was followed by Emperor Hirohito’s Imperial Rescript at the beginning of 1946, in which, under the direction of General Headquarters, Hirohito renounced his divinity (so-called Ningen-sengen, or the human proclamation). The latter, in particular, disappointed many Japanese, because it seemed to deprive them of the cause of war. It is doubtful, however, that most of those who were disappointed understood what Hirohito really meant when he called his divinity a “false conception.”(9) In Showa Tenno Dokuhakuroku (Emperor Hirohito in His Own Words), Hirohito reveals that he was disgusted when someone said to him that he was divine (Terasaki and Miller, 1995, p. 36). Referring to this episode, Matsumoto (2007) contends that, with his rationalistic mind, Hirohito resisted the idea of the emperor’s divinity. For Hirohito, even before he publicly renounced it, the emperor’s divinity had already been a “false conception.” In this sense, while the chimera of the emperor’s divinity drove his people to sacrificial death, the emperor himself was, as Matsumoto puts it, “sober” (p. 25). When Hirohito made the human proclamation, he not so much renounced his divinity as told his people to renounce their “false conception,” or fiction, of his divinity. For Mishima, however, as we will see below, Hirohito was wrong in treating his divinity as fiction. Many Japanese scholars and critics have agreed that Mishima’s sense of loyalty to the emperor led him to such a spectacular end. But what exactly was his view of the emperor? When he killed himself, Mishima probably had in mind the figure of the emperor he himself had depicted in his short story “Eirei no Koe” (“Voices of the Heroic Dead”). In the short story, through a young man who serves as a psychic medium, those who were executed after the February 26 coup d’état (1936) tell about an ideal emperor who should have spoken to them: “We understand your intention. We gladly appreciate your loyalty. From now on, we maintain peace and order in this country by our directly ruling it, and reward your honesty. So die in peace. You must die immediately” (Mishima, 2005b, p. 37). In a sense, by killing himself, Mishima followed the order of his ideal emperor, who told the rebels of the February 26 Incident to die. In reality, however, those words were never heard in 1936. Then, why did Mishima kill himself, knowing that the emperor’s words would not be heard again in 1970? We can understand Mishima’s view of the emperor better by referring to Carl Schmitt’s famous dictum: “Sovereign is he who decides on the exception.” On this dictum, Paul W. Kahn (2011) comments: “There is nothing abstract about Schmittian sovereign: he decides in an act of will. The decision for the exception is distinctly not the application of a norm, which means that it will violate rights and interests recognized in the normal situation. Most dramatically, in the exception the sovereign will take life and property, while under ordinary circumstances legal norms protect life and property. Is this not exactly what happens in a war?” (p. 32). What Mishima expected from the emperor was his decision for the exception. For Mishima, however, the emperor’s silence, or, to use Kahn’s phrase, his silent “act of will,” was in itself the decision for the exception. The emperor did not have to say anything. All he had to do was to simply be there as God. During the war, the emperor’s presence as God was in itself an order to die. People did not have to ask why they had to sacrifice their “life and property.” They knew that the emperor himself decided on the exception, and that the emperor needed no “legal norm” to make them do so. For Mishima, too, the emperor’s presence as God was in itself an order to die. To put it conversely, Mishima expected his death to be proof that the emperor was actually present as God. Mishima was disappointed when Hirohito renounced his divinity after the war. Mishima was suddenly forced to get back to normal. Like many Japanese during the war, what Mishima wanted was the eternal presence of the emperor as God. In other words, what he wanted was the miracle, and as Kahn (2011) aptly puts it, the “miracle is the exception” (p. 33). During the war, people believed that they had seen the miracle and sacrificed their lives for it. After the war, however, they lost it. Kahn (2011) writes: “a sovereign who could no longer decide for the miraculous would have become empty, a mere idol. Of such gods, we have no need, whether in metaphysics or politics” (p. 33). In the postwar secular world, Mishima reenacted the sacrificial death for the emperor as God, believing that he could still see the miracle. In an essay entitled “2.26 Jiken to Watashi” (“The February 26 Incident and I”), Mishima comments on the February 26 Incident: “Certainly, some great God died when the coup failed. I felt that only slightly, because I was just eleven at that time. But when I experienced the defeat of Japan in World War II as a passionate twenty-year-old young man, I had a horrible feeling that God died again and realized a close link between this newly acquired feeling and the feeling that I had had at the age of eleven” (p. 112). What Mishima calls the death of God applies to two occasions in which Hirohito failed to behave as a divine being when he was most expected to behave as one: one is when he ordered the suppression of the February 26 coup in 1936; the other is when he renounced his divinity in his Imperial Rescript at the beginning of 1946. In both occasions, Emperor Hirohito revealed his true face as human. For Mishima, the emperor as God died when Hirohito broke his silence and spoke in a normal, human voice. In “Voices of the Heroic Dead,” through the voices of both those who were executed after the February 26 Incident, and also those who died in kamikaze (divine wind) attacks at the end of World War II, Mishima expresses his own sense of being betrayed by Hirohito who called himself human. In the short story, like a refrain, the voices of the dead repeat the phrase “nadote sumeragi wa hito to naritamaishi” (why did the emperor become human?) in archaic Japanese (Mishima, 2005b, p 43, p. 71). Mishima does not blame Hirohito for being a human, however. He knows that even an arahitogami is human. What Mishima blames Hirohito for is rather that he behaved as a human as political animal. In “Voices of the Heroic Dead,” the voices of the dead reveal the process in which Hirohito comes to agree to make the human proclamation under the instructions of General Headquarters. After tracing how Hirohito finally came to make the proclamation, the voices get to the point: “Only twice in the history of Showa, His Majesty should have been God. We don’t know how to say it, but it was His duty as a man to be God. Only in those two occasions, He should have been God in the extreme depths of His being a man. But he failed twice. He remained human when He was most expected to be God” (Mishima, 2005b, p. 66). Here, through the voices of the dead soldiers, Mishima assumes two levels in the humanity of the emperor: one is the emperor’s humanity on the surface, and the other in its depths. The former is susceptible to political change; the latter is beyond time. For Mishima, Hirohito should be blamed for failing to satisfy those who died for the emperor as God. They did not die for the fiction of the emperor as God, nor for the present emperor, an individual who could die himself. That is why, in “Voices of the Heroic Dead,” the voices wanted Hirohito “to hold on to his divinity / Never to say that it was a fiction, a fake / (even if he thought so at the bottom of his heart)” (Mishima, 2005b, p. 70). The voices of the dead allow Hirohito to think “at the bottom of his heart” that his divinity is a fiction. However, they do not allow Hirohito to say so. For Mishima, Hirohito failed in his duty to stick to the emperor’s divinity, a duty which he had inherited from 123 emperors before him. When he called himself human, Hirohito betrayed all the emperors before him, who had existed—so did people believe—as one unbroken line since the beginning of the country, representing its eternity. After the war, the only official definition of the emperor can be found in Article 1 of the new Constitution: “The emperor shall be the symbol of the State and of the unity of the people, deriving his position from the will of the people with whom resides sovereign power.”(10) Apart from the ambiguity of the word “symbol,” the emperor is no longer seen as God. But the story of sacrificial death for the divine emperor has not ended. When Mishima killed himself crying out “long live the emperor,” he disclosed an emotion that had been hidden in the depths of the psyche of many Japanese since the war ended. Oe Kenzaburo, Mishima’s literary opponent, took the incident seriously and depicted in his short story “Mizukara Waga Namida o Nuguitamau Hi” (“The Day He Himself Shall Wipe My Tears Away”) an image in which a huge chrysanthemum, the symbol of the Imperial House, had spread over the sky (Oe, 1972). Despite many criticisms, Mishima’s spectacular death by seppuku thus revived the belief in the emperor as God in an age when people had begun to forget the belief they had had during WWII. Of course, however, for those who do not share his belief, Mishima died in vain for a God who was no longer there. Throughout the text, I refer to Japanese names as Japanese refer to them in Japan, that is, with the family name first. The only exception is my own. The English version of the Shinto Directive, which I quoted here, can be found in Helen Hardacre, Shinto and the State, 1868-1988 (Princeton: Princeton UP, 1989), pp. 167-70. Translation is mine. All subsequent translations from Japanese to English are mine, unless otherwise noted. Murakmi’s book Kokka Shinto (State Shinto, 1970) is known as a pioneer work on State Shinto; on the other hand, it has been criticized for promulgating the idea of State Shinto without enough scrutiny (Nitta, 2003; Sato, 2011). The full Japanese text of Kokutai no Hongi can be found at http://www.j-texts.com/showa/kokutaiah.html. The full text of “Senjin-kun” can be found at http://www.tanken.com/senjinkun.html. Nitta calls State Shinto and arahitogami chimeras in the sense that they are fictions made up by GENERAL HEADQUARTERS and scholars, suggesting that they were not the engine of war. The English translation of Hirohito’s Imperial Rescript, which I quoted here, can be found at http://www.chukai.ne.jp/~masago/ningen.html. The English translation of the Japanese Constitution, which I quoted here, can be found at http://www.jicl.jp/kenpou_all/kenpou_english.html. Constitution of Japan, The (English). Web. http://www.jicl.jp/kenpouall/kenpou english.html. Retrieved Sep. 1, 2012. Kahn, Paul W (2011). Political Theology: Four Chapters on the Concept of Sovereignty. New York: Columbia UP. Hardacre, Helen (1989). Shintō and the State, 1868-1988. Princeton: Princeton UP. Imperial Rescript of Emperor Hirohito. Web. http://www.chukai.ne.jp/~masago/ningen.html. Retrieved Aug. 15, 2012. Kato, Genchi (1971). A Study of Shinto: The Religion of the Japanese Nation. 1926. London and Dublin: Curzon Press. Kokutai no Hongi (The Basic Principles of Our National Body). Web. http://www.j-texts.com/showa/kokutaiah.html. Retrieved Sep. 1, 2012. Mishima, Yukio (2005a). “2.26 Jiken to Watashi” (“The February 26 Incident and I”). Eirei no Koe. Tokyo: Kawade-shobo-shinsha. 243-61. Mishima, Yukio (2005b). “Eirei no Koe” (“Voices of the Heroic Dead”). Eirei no Koe. Tokyo: Kawade-shobo-shinsha. 9-72. 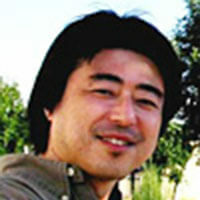 Matsumoto, Ken’ichi (2007). Osorubeki Showa-Tenno (The Awful Emperor Hirohito). Tokyo: Shincho-sha. Murakimi, Shigeyoshi (1970). Kokka Shinto (State Shinto). Tokyo: Iwanami-shoten. Murakimi, Shigeyoshi (1977). Tenno no Saishi (The Emperor’s Rituals). Tokyo: Iwanami-shoten. Nitta, Hitoshi (2003). Arahitogami, Kokka Shinto to iu Genso (The Chimeras Called Arahitogami and State Shinto). Tokyo: PHP Kenkyu-jo. Oe, Kenazaburo (1972). “Mizukara Waga Namida o Nuguitamau Hi” (“The Day He Himself Shall Wipe My Tears Away”). Mizukara Waga Namida o Nuguitamau Hi. Tokyo: Kodansha. 11-140. Sato, Chimei (2011). Nichibei no Sakugo, Shinto Shirei: Chishiki-jin no Daizai (The Shinto Diretive as the Error of Both Japan and the US: The Felony of the Intellectuals). Nagoya: Buitsu Soryushon. “Senjin-kun” (“Ethics in the Battlefield”). Web. http://www.tanken.com/senjinkun.html. Retrieved Sep. 1, 2012. Shimazono, Susumu (2010). Kokka Shinto to Nihonjin (State Shinto and the Japanese). Tokyo: Iwanami-shoten. Skya, Walter A. (2009). Japan’s Holy War: The Ideology of Radical Shinto Ultranationalism. Durham: Duke UP.